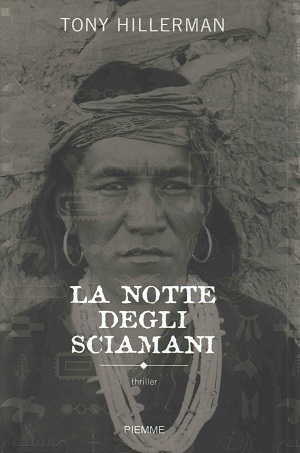 This is the 2005 Italian hardback edition of Skinwalkers, published by Piemme in Casale Monferrato, Italy. The text was translated into Italian by Roberta Bricchetto/Grandi & Associati. The cover image is credited to Getty images/Laura Ronchi and features a photo of a native man standing in front of a stone wall. Superimposed over the photo are pictograph images. Binding: Grey and black boards with illustration from the dust jacket. Author's name, title and publisher are printed vertically on the spine.